The Kirwan were the only family amongst the Tribes of Galway to establish an Irish origin, tracing a descent from the second son of Milesius, one of the original Gaels. They left many fine seats, including Cregg Castle, Castlehackett, Gardenfield, Glan and Woodfield. 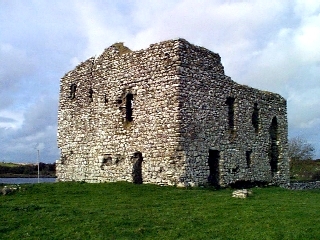 Annaghkeen on the eastern shore of Lough Corrib, was an early Hall House forming part of the manor of Headford from the 13th century. 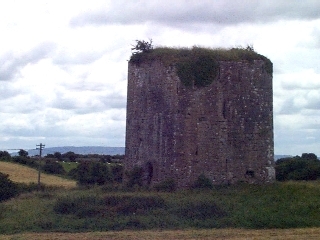 Ballymaquiff is a small tower house of the Burkes, in very good condition, close to Gort. 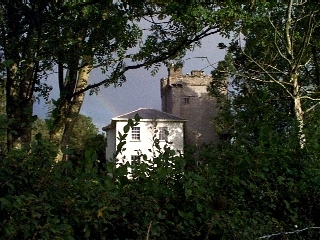 Castle Taylor was a 16th century tower house formerly known as Ballymcgrath. The Taylor family added to it & much altered it. It was inhabited up to the 1930's. 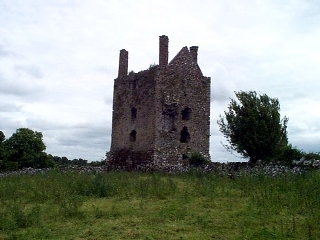 Cloughballymore was a tower house of the Kilkelly family in the 16th century. 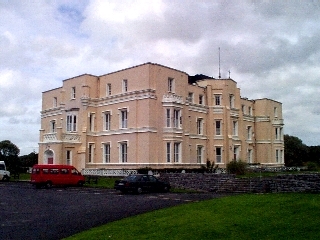 Later fell to the Blakes, who added a mansion to it which is still in use. 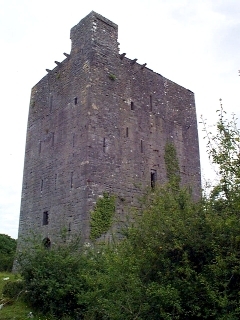 Drumharsna is an early 16th century tower built by Shane Ballagh, one of the Kilkelly family. It later fell to the Trench family, and was in use up to the 1920's. 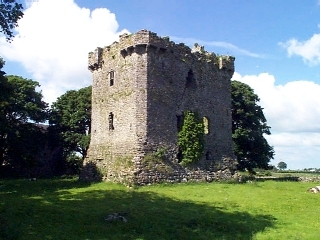 Kilcornan was originally a 16th century castle of Ulick deBurgo. 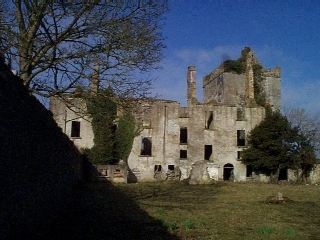 The Redington family built a fine mansion around it in the 1830's, incorcoraring the old tower in it's fabric. Kilmacduagh was another early fortified house of the Hall House model from the 13th century. 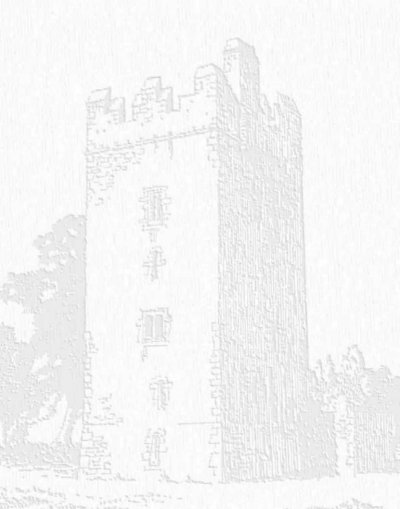 Kinlough castle is a late 17th century tower house, located near an monastic settlement on the Black river. 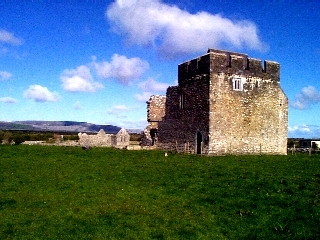 Lydacan was an O'Heynes fortress in South Galway from the 14th century, later falling to the Lynch family. 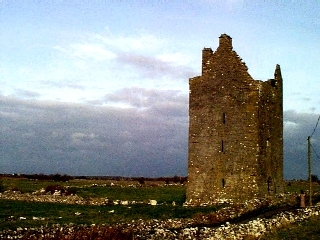 Shrule Castle, on the Black river at the Mayo border, was part of a manor granted by Richard deBurgo to his son John in 1308. All these photographs are copyright © Patrick Larkin March 2000.